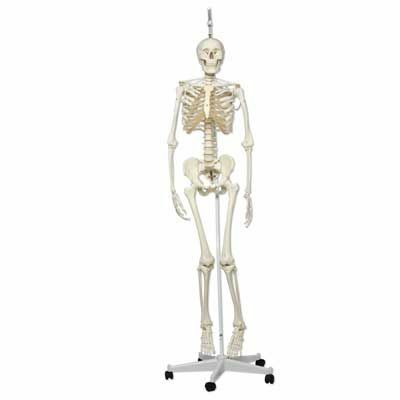 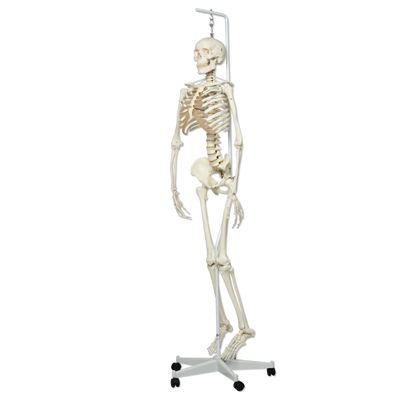 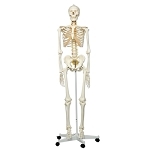 Developed with the assistance of John Chester M.D., this unique scientific Functional Skeleton model by 3B Scientific comes on a hanging stand and features a unique flexible assembly of all joints, allowing you to perform the individual movements in a nearly lifelike way. 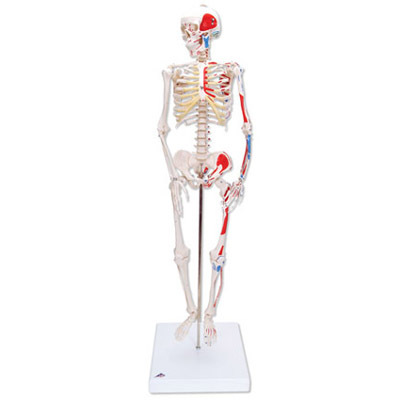 You can even demonstrate the complex motions of the upper extremity with this functional human skeleton. 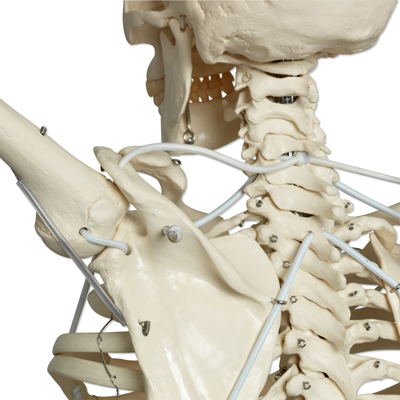 The shoulder blades rotate along when the arms are raised. 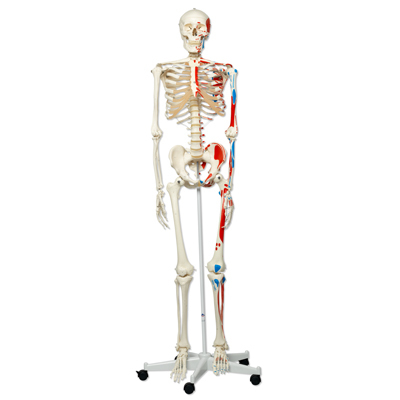 Even the position of the radial and ulnar bones during inward and outward rotation of the lower arm can be graphically demonstrated.áTheáhuman skeleton'sáflexible spine allows for natural movement (lateral inclination, flexion and extension, rotation). 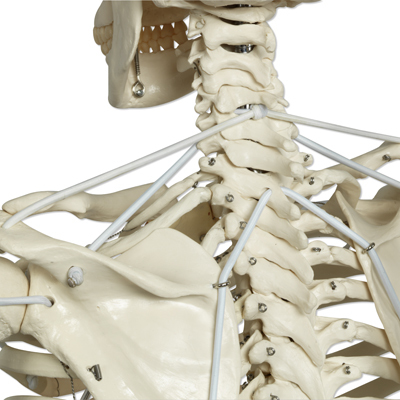 Even the restricted mobility of the iliosacral joint and the sacrococcygeal joint can be demonstrated. 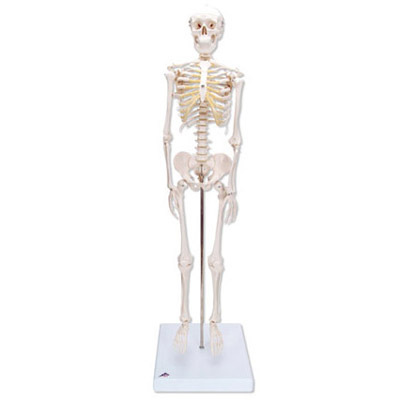 A great functional human skeleton model.